Receive notifications from user-defined email address versus default Form2pay email address. 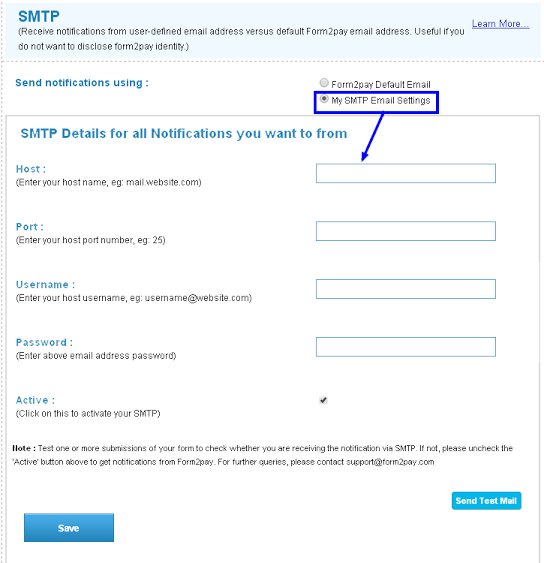 Useful if you do not want to disclose Form2pay identity. 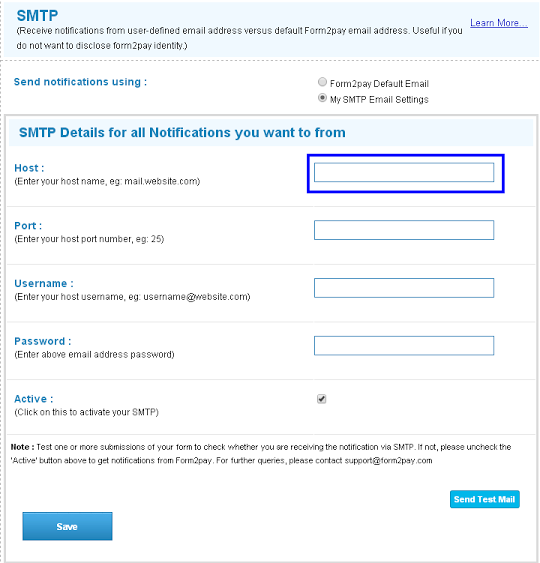 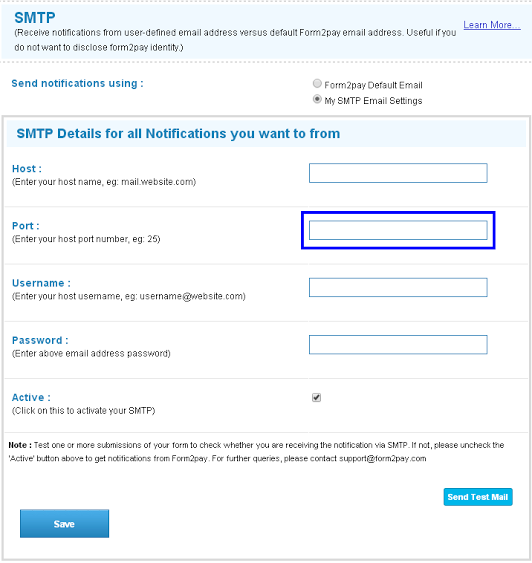 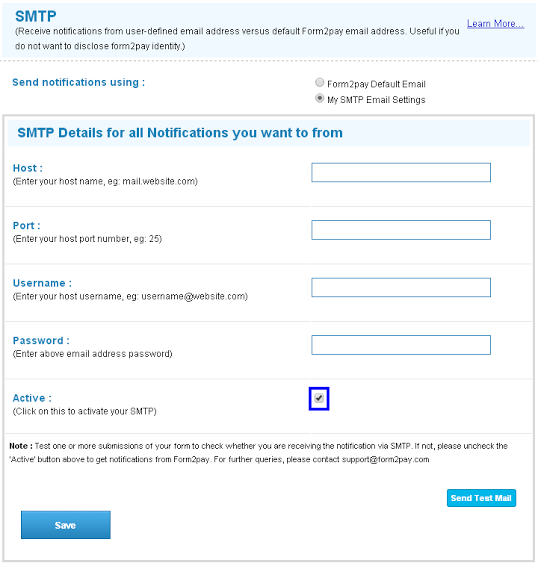 Click on "My SMTP server" option to get notifications from your email address. 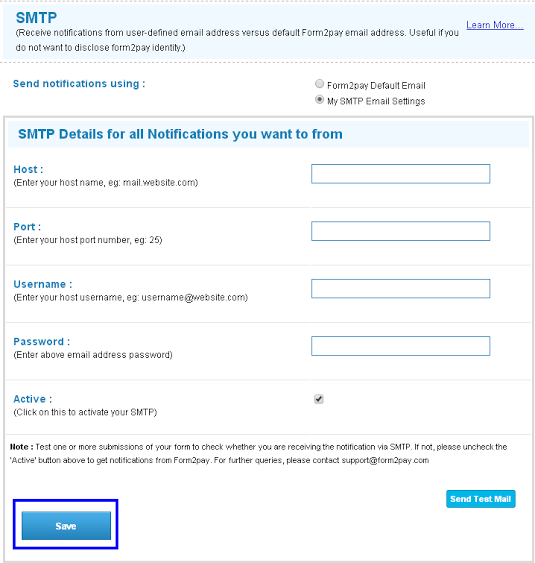 Finally click on save button to take effect.